Hand-illustrated storytelling prompts - shuffle the deck and tell a story! Everyone loves a good story. 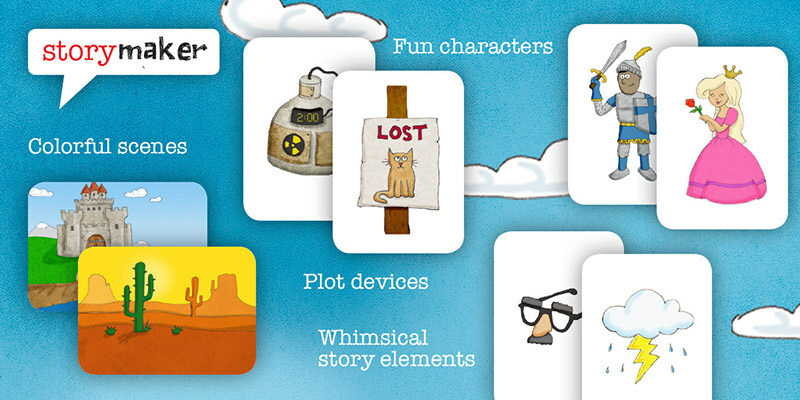 This simple game uses bright, whimsical illustrations as storytelling prompts. Draw a few cards and see if you can “connect the dots” to construct a compelling narrative. Science has shown that telling a story is the most powerful way to activate our brains. It’s the fundamental way we communicate. For kids, hearing and telling stories is a powerful learning tool, both for exercising creativity and making new concepts understandable. 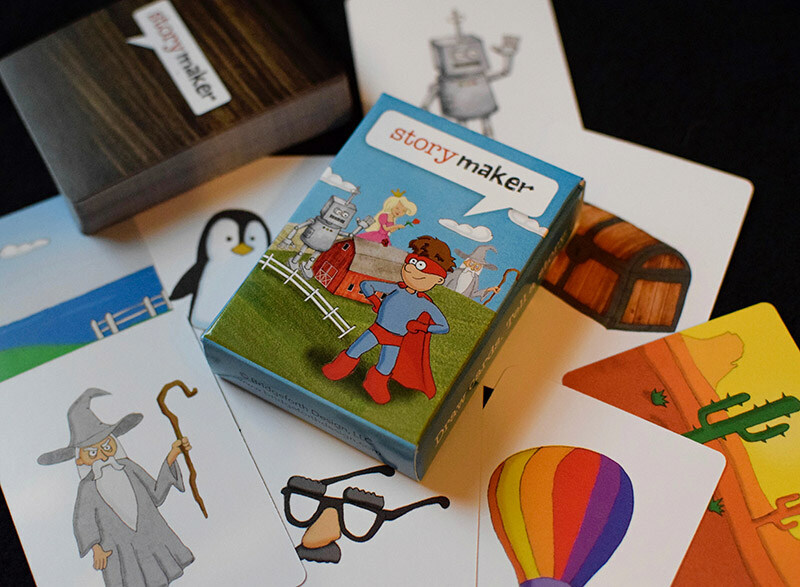 We developed and illustrated this game for our own kids and have heard some amazing stories of how it’s been used — including road trips, in hospice care, for adults with mental disabilities, and as a writing tool in the school classroom. We’ve found that you need to be at least 1st or 2nd grade to “get it” and enjoy it. 3rd - 5th grade is the best age, OR if you’re an adult who likes outside-the-box party games or ice breakers. A 50-card “deck” featuring original cartoons of characters, scenic locations, random objects and plot devices. Everything you need to tell a great story.